Organizations that have invested in ESB technologies are finding themselves wondering if their legacy middleware systems are capable of effectively integrating with modern cloud, mobile, social, big data, and IoT apps. This e-book explores how to work with your ESB to support the evolving integration requirements of your apps and data. 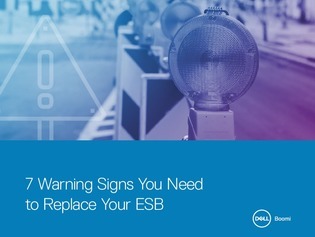 Uncover 7 warning signs that your ESB is struggling to keep up with modern integration requirements and learn how to update your integration infrastructures for digital transformation.